Finding a travel partner is more difficult than finding a life partner. 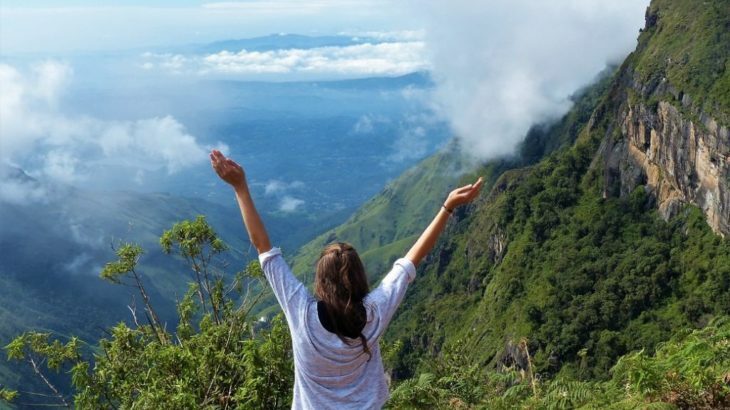 If you want to travel solo to Sri Lanka but hesitating like most of the other people due to plenty of myths associated with travelling solo to the country, fret not! Your mind and body definitely deserve a break from a monotonous lifestyle as it is essential to rejuvenate your mind, body and soul. Nothing works better than travelling to amazing places, when you are in need of a break. Most of the people despite wanting to travel around this island country are not visiting it because of either having no partner or due to many misconceptions that they have regarding travelling solo. But the things are now changing for the good as the concept of solo travelling is emerging. According to one recent travel survey the flight searches for solo travelers has been on a rise and even increased by 18% on 2016. Especially female travelers are applying for Sri Lanka ETA visa. Truth to be told, the world out there is not all pink and rosy, but then every region and country has its own positives and negatives. If you are travelling solo, it doesn’t have to be unsafe or risky. With more women opting for travelling solo, it is not all dangerous to travel alone, especially in this small country, although it is always sensible to take some safest precautions just like in your home city. A country like Sri Lanka is a safer option and you can also get Sri Lanka ETA visa easily. Therefore being little aware combined with well-researched information about the country or the place you can ensure your safety in a foreign land. Always travel during the day and avoid reaching at your destination late at night. Always have a secret stash of money and credit cards for the back-up. Some places or countries are unsafe to travel, thus if you are visiting one of those places it`s better to look for some small group tours. The whole idea about roaming alone is to rediscover yourself and not isolation. When you travel in your own company, you get to spend some quality time with yourself. One learns to admire the freedom. So chances are you will be busy appreciating the liberty and independence of your newfound flexibility rather than sulking for being travelling alone. So without worrying about feeling isolated, apply for Sri Lanka ETA visa. One of the biggest worries for the solo travelers is eating food alone. But if you know how to use technology effectively you can get here too and you can find amazing eating options with the locals in Sri Lanka. There are many sites that offer group dinners so that you can find someone to chat over food. But why should you eat alone, when you can interact and share your experiences in Sri Lanka with fellow solo travelers. Many people feel that getting a visa will be difficult and in order to avoid all the hassles of long queues, they refrain from travelling. But now you can get Sri Lanka ETA visa simply. When it comes to travelling, take the wheel of your life in your own hands. Travel to your favorite destination without holding yourself back waiting for a travel pal. Apply for your Sri Lanka ETA visa from our website sri-lankaeta.com. sri lanka eta, tour-travel, tourist visa, visa online tourist visa application for Sri Lanka, Sri Lanka online tourist visa, Sri Lanka online visa application, Tourist Visa for Sri Lanka, tourist visa Sri Lanka. permalink.